Jonathan India (fifth overall pick by the Reds) is James’ top overall amateur draft pick with Casey Mize (top overall pick by the Tigers) his top ranked pitcher. 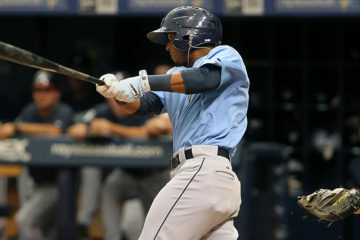 James shares my enthusiasm for speedy prep infielder Xavier Edwards, ranking him in the top 100 overall and sixth among amateur draftees. Juan Soto has made his inevitable jump to number three on this list ahead of Eloy Jimenez and Fernando Tatis Jr. This time of year is important to take stock of player… stock… because there’s a solid chunk of season, but not a lot of industry lists for dynasty fans to cling to. 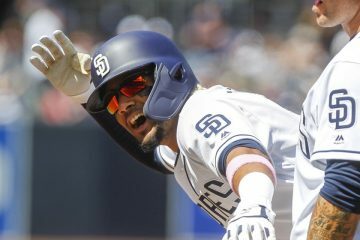 James’ list can help you put some context to the breakouts of players like Houston’s Yordan Alvarez, Atlanta’s Austin Riley and Arizona’s Daulton Varsho along with where to peg players going through rough seasons such as Oakland’s Jorge Mateo and Austin Beck and Philadelphia’s Jhalyn Ortiz. Just be advised… Brendan Rodgers (only 20th overall) has apparently personally offended James. Tom–I was wondering if you were going to do a midseason update on your top 300 OBP list. Hard to find a list that accounts for OBP dynasty leagues. I found it pretty helpful when dealing with a league that has 14 teams and we keep 14 major leaguers and 5 minors every year. Your list was the best one I have seen yet to plan a re-build around. Thanks, Jared. Yes I will release one in the next 7-14 days.